SEAMEO QITEP in Science (SEAQIS) is intensely making efforts to improve the level of science education in Southeast Asia. One of the efforts is by undertaking capacity building of young students through participation in international forums. 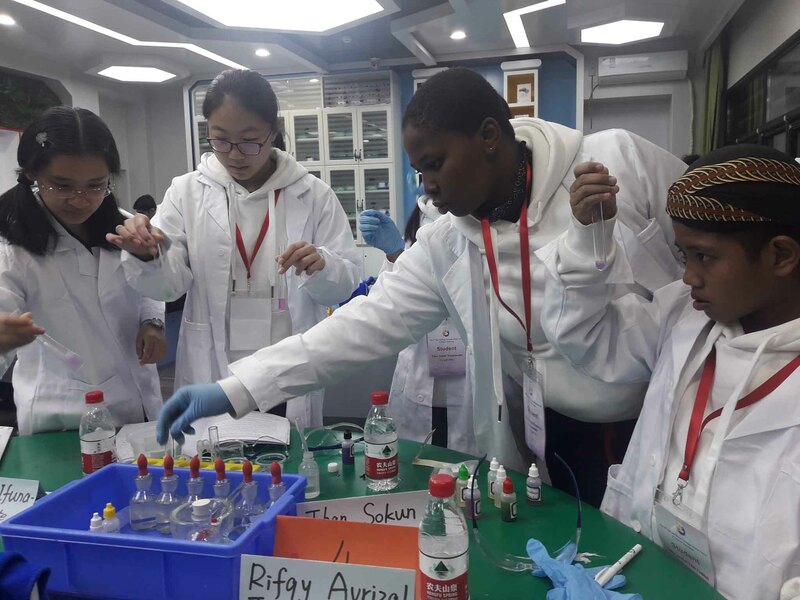 In 2018, SEAMEO QITEP in Science selected ten middle school students, two teachers, and one principal from Indonesia to participate in the 2nd Belt and Road Teenager Maker Camp and Teachers Workshop from 15 to 21 November 2018 in Beijing, China. The students, teachers, principals, and officials from Indonesia joining the programme are: 1) Histofredy Marlin Sihombing, student from SMP SW. Budi Mulia Pangururan; 2) Azka Shafa Nabalah, student from SMPN 3 Bandung; 3) Muhammad Azra Utama, student from SMPN 5 Bandung; 4)Farhan Hakiim Rukmana, student from SMAN 1 Baleendah; 5) Alfa Azkiya Kemal Pasha, student from SMP Darul Ulum 1 Unggulan Peterongan; 6) Hakim Muzacki, student from SMP Darul Ulum 1 Unggulan Peterongan; 7) Nadine Namiera Rabbani, student from SMP Darul Ulum 1 Unggulan Peterongan; 8) Radhya Budi Hardoyo, student from SMP Darul Ulum 1 Unggulan Peterongan; 9) Rifqy Avrizal Titan Fadillah, student from SMP Darul Ulum 1 Unggulan Peterongan; 10) Yusuf Imron Bachudin, student from SMP Darul Ulum 1 Unggulan Peterongan; 11) Astri Faizah, teacher from SMP Darul Ulum 1 Unggulan Peterongan; 12) Mr I Gede Ngurah Dharma Setyawan, teacher from SMAN 1 Kuta Utara; 13) and Mrs Nita Hidawati, Principal of SMPN 21 Bandung. During the programme, the Indonesia delegates were guided by Mr Rizwan Darmawan, Head of Secretariat of SEAQIS. 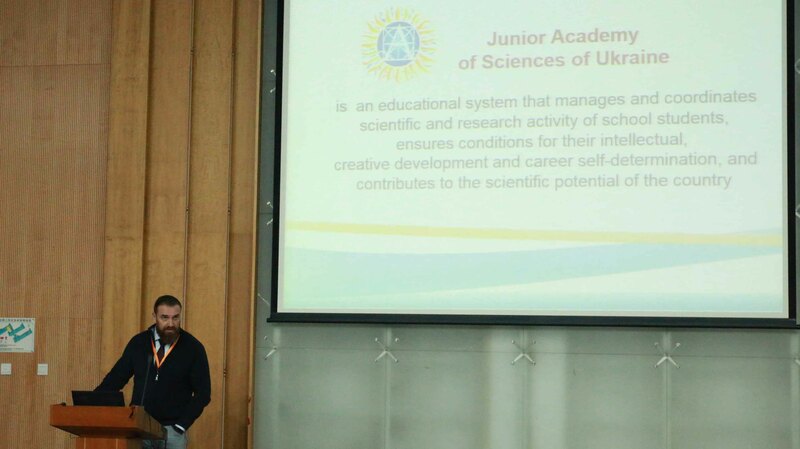 The programme was held under the theme “Science Unites, Innovation Decides” by raising topics which closely related to 21st century learning skills, for instance Intelligent Robot, 3D Printing, Laser Cutting, Biological Tissue Culture, etc. This year’s programme was participated by students, teachers, and officials from 29 countries. Indonesian students worked in a group with students from other countries to create certain projects based on their group topics. They created outstanding projects and presented the projects in front of board of judges. 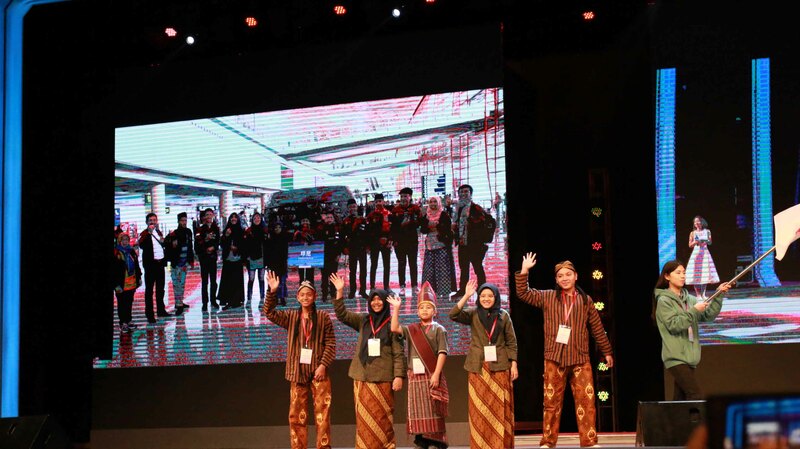 As the result of their hard work, Indonesian students were successfully won seven Best Teamwork, two Best Presentation, and one Best Maker awards. 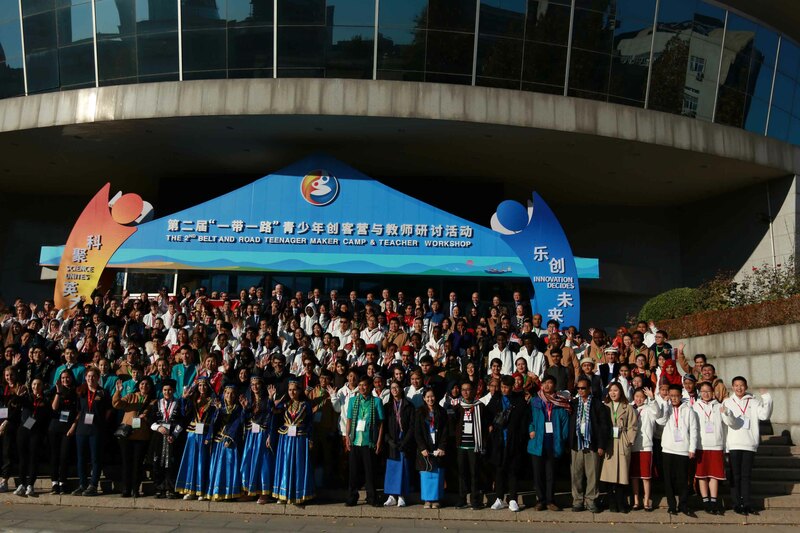 During the students’ team project, all teachers and officials attended a Workshop on the Amazing Architect in the Belt and Road and a Science Education Forum. Professional facilitators and experts from countries across the world shared their expertise during the workshop and forum. In the middle of the programme, Mr Rizwan Darmawan was also attended the First Meeting of Belt and Road Science Education Coordinating Committee (BRISECC) as SEAMEO QITEP in Science has become one of the committee members. The meeting was intended to discuss about BRISECC operating guideline to further formulate agendas of the committee. One of programmes initiated by BRISECC is the Belt and Road Teenager Maker Camp and Teachers Workshop. This programme has provided thousand students and hundred teachers a number of interactive workshops and forums related to STEM education which broadens their knowledge, experiences, and networking. 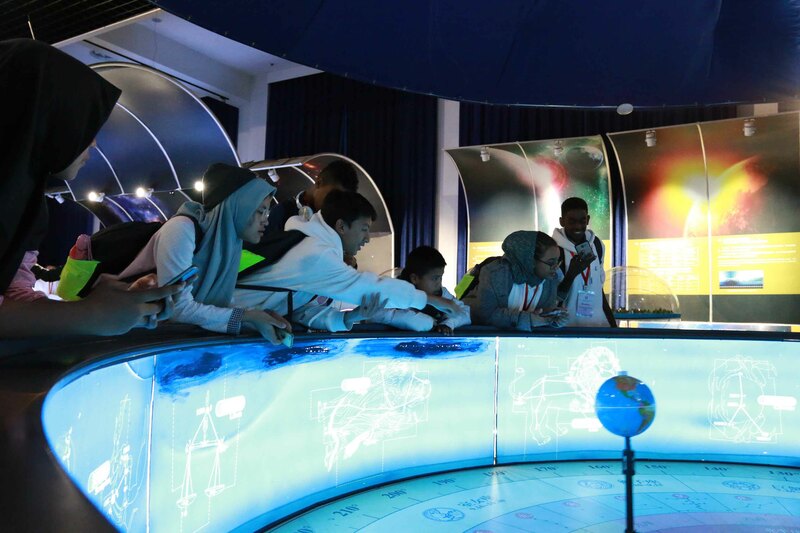 This programme motivates teachers to develop innovative teaching and learning activities to improve students’ understanding and interest on STEM subjects.